6” 8” & 10” round tiers. Buttercream coated finish. 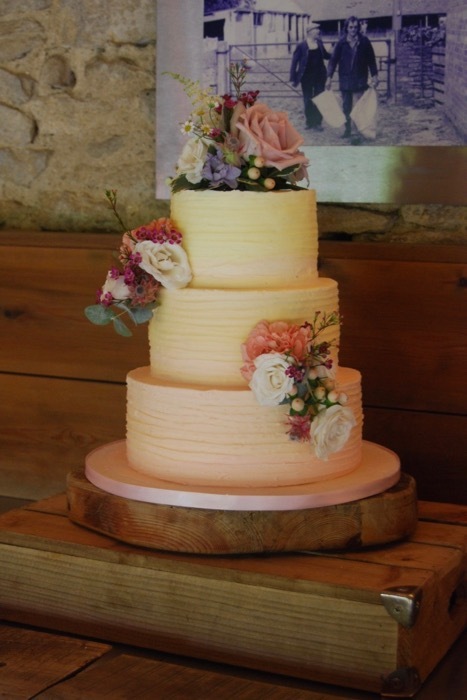 Fresh flowers offset on the tiers and to crown the cake.